ARES (A REed Solomon decoder) implements codeing and decoding of (32,28) and (28,24) Reed-Solomon codes as used on the CD system, withthe full capacity to correct up to two errors or four erasures. 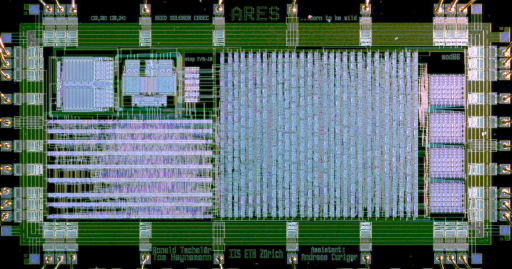 The core of ARES consists of four parallel GF(2^8) 8x8 bit multipliers implemented using custom layout. 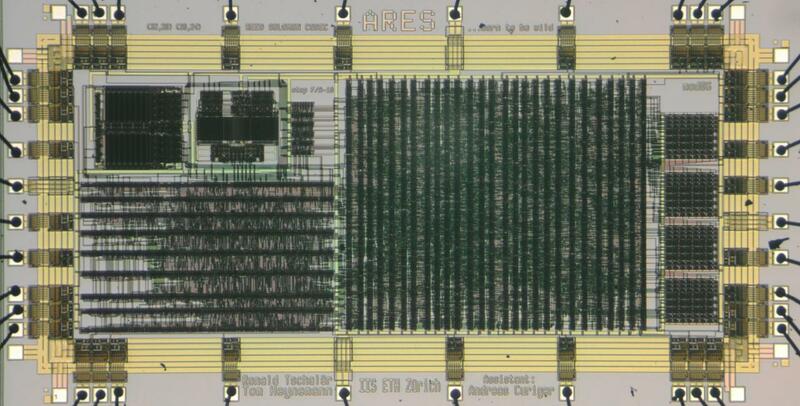 ARES can be used in an experimental setup, combined with a de-interleaving circuit, to directly decode CD signals. 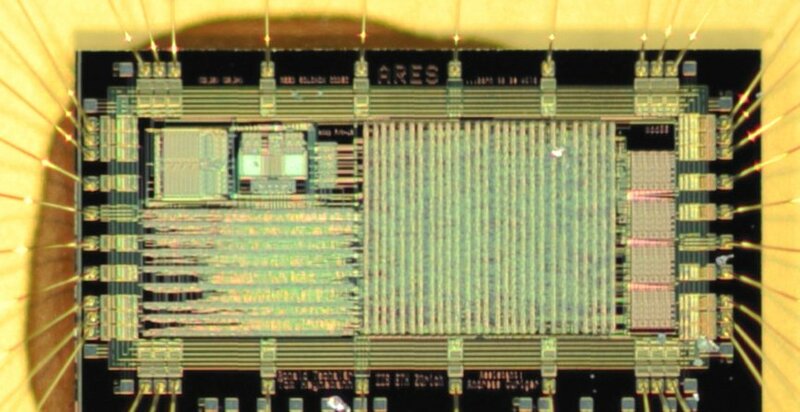 It can be used standalone, as error correction system on any channel with little synchronization hardware and some buffering on the receiver side.